GABF wasn't just about the festival, it was also an opportunity to see what was going on in the city of Denver. After waking up in Denver, it was off to the races or better yet some hopped cold brew at Corvus Coffee Roasters. This small batch roaster in the Platt Park neighborhood started as a shared space in a yoga studio. Coffee roasting and tree poses would eventually have to separate leading to their current space. 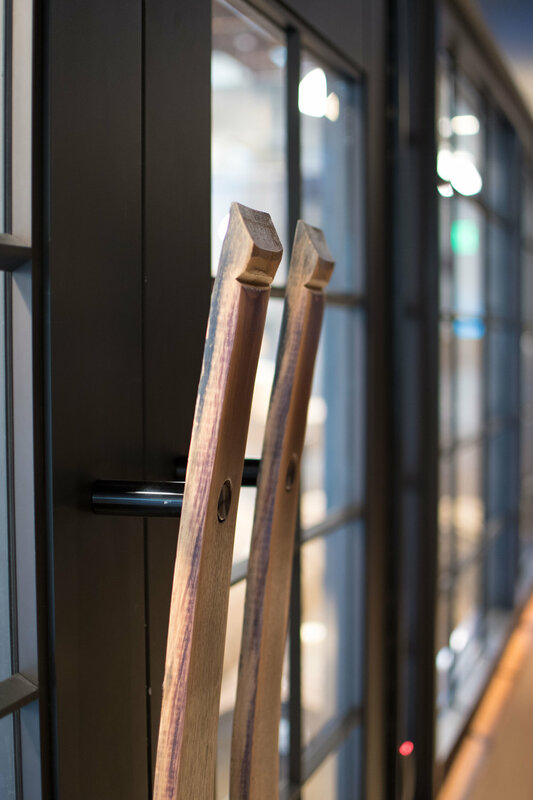 A step inside and you’ll see a myriad of materials all working together to create a space of wood, glass, steel, and coffee sourced from Costa Rica, Nicaragua, and more. I ordered my hopped cold brew and walked over to the other side of the room. It was next to their cast iron Geisen coffee roaster where I was introduced to William and Daniel. Daniel, from Colombia, would walk me through his approach to roasting while William talked me through the story of Corvus. The three of us began to talk about coffee and the experiences that have led to where they currently reside in their lives. Our conversation began with simple introductions and evolved into a deep dive into different processes for coffee production, sourcing, and the decisions Daniel makes when he roasts. We specifically we began to talk about a beautiful batch of coffee they had recently roasted, Las Lajas—Red Honey. When the term honey is used in coffee, it describes the mucilage, which is essentially the sunscreen on a coffee cherry. It is the honey that allows the cherry to lie in the sun during the drying process. The amount of time the cherries dry determines whether they become white honey, yellow honey, red honey, or black honey, much like the malting process for barley. The degrees of honey also have varying degrees of sugars inside the beans so roasters like Daniel at Corvus have to adjust time and temperature to get the perfect roast. We got in the car to head over to The Sandlot at Coors Field. 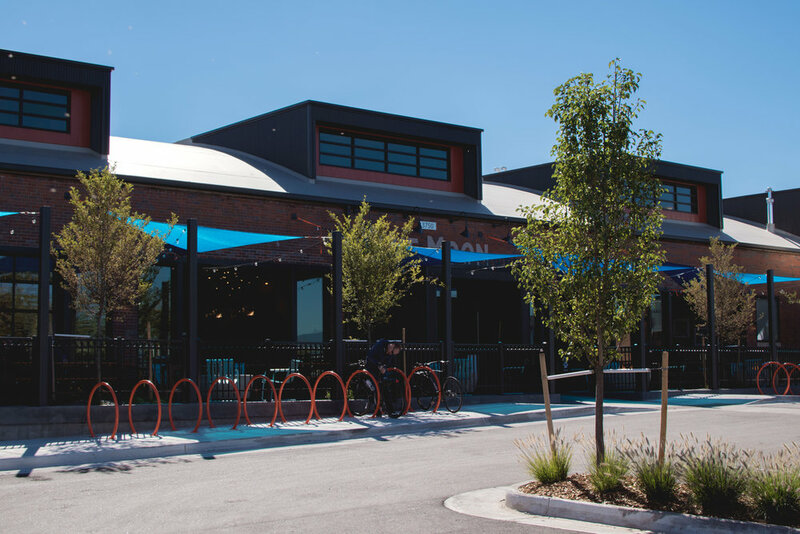 Often times breweries like Sandlot may be discredited because of their connection with a large company like MillerCoors, but the reality of it is they are facilities with some of the smartest and most talented brewers in the country. If you look at some of the brewers who have come from larger operations you’ll get a picture of some of the best breweries in the country. Here’s what you might not know about the Sandlot: it opened in 1995 and was the Coors-owned incubator for what eventually became the Blue Moon Brewing Company. Mike Miller and Tom Hail are the current brewmasters and the Sandlot has won over 40 GABF medals for their specialty, traditional German-style lagers. Tom fetched us out of the rain and led us past the brew deck and down into the basement where you can see the markings and tanks that first produced the now-famous Blue Moon Belgian White. Mike pulled samples from tanks and we talked about how his background in water and malting helped with his knowledge base for brewing. After a few more samples, we walked several blocks to a favorite local taco spot of Lisa and the Sandlot guys, Mexico City. The hype around these deep fried tacos was real. It was steak tacos for everyone. Pockets of steak, cheese, and lettuce were all melded in a fried flour tortilla for optimal consumption. The food was exactly what everyone needed to get ready for the first day of GABF. To the unassuming passerby, you would never realize the treasures of deliciousness inside, but I strongly recommend a stop at Mexico City. It began with driving to the production facility of Denver's Crooked Stave. As an eager drinker, I quickly was made aware there was no taproom to the public in this space. I looked around and asked the first new friend in my line of sight where I could try some of their beers. The individual whom I had garnered the attention of, but whom I didn’t realize at the time, was head brewer Danny Oberle. 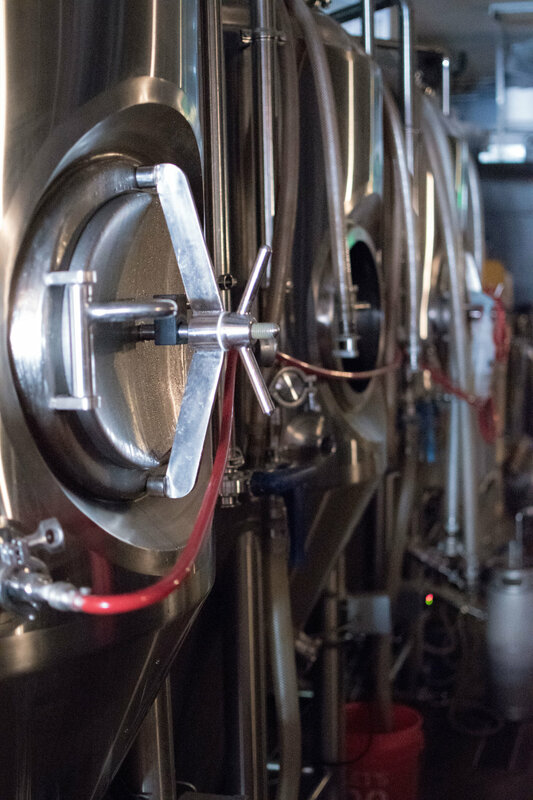 As I asked questions about brew house capacity, the length of time they had been in this location, and more, Off Color Brewing from Chicago had just stopped in to take a tour. 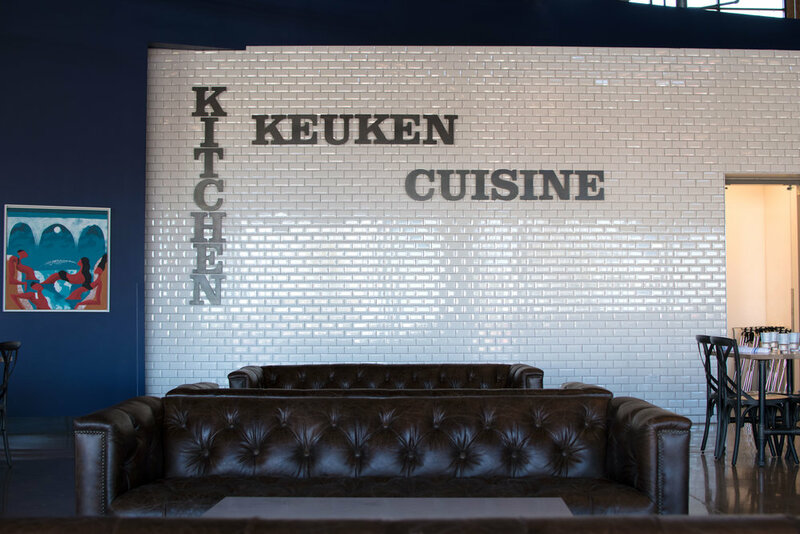 A short drive to the RiNo neighborhood took us to The Source, literally. Here we slipped through the throng of drinkers to the front and ordered some of Crooked Stave's petite sour reserve. Slow sipping we spotted breweries from around the country stopping in for a drink. 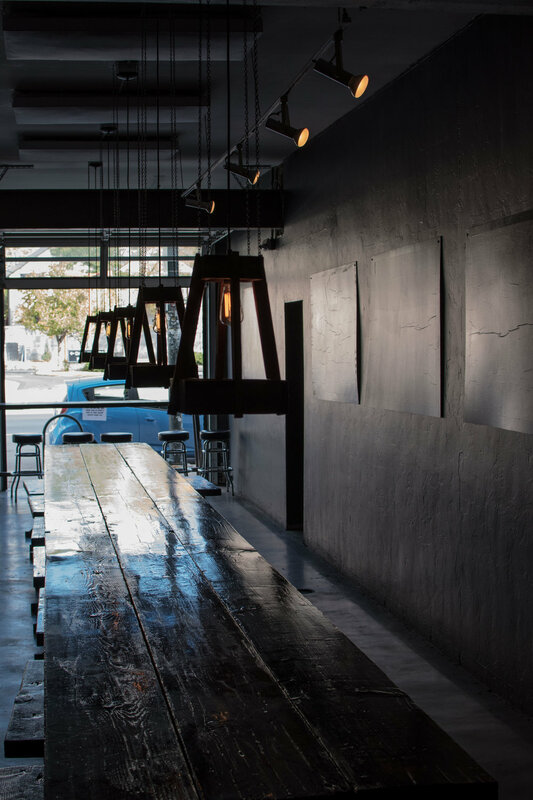 As we approached TRVE Brewing it was immediately noticeable this space was different, you could hear it before you even stepped through their door. The sound of metal pouring out of their street facing garage door was a stark contrast from where we had just come from. As I stepped inside I noticed the black and white photographs with a contrast level of 110% and a look similar to what one may find if they ever visited Jack White’s Third Man Records. With simple white old English style text placed over black boards; names like Cursed, Scorn, and Of Wolf and Destiny stood out. All together though, everything was exactly as it should be. Walking into that space made me feel as though I was going for a drink at the Three Floyds brewpub in Munster. What impressed me moreover than their space was the bar staff’s friendliness and the quality of their beer. Once again, Denver was charming me with its people and it’s juice. 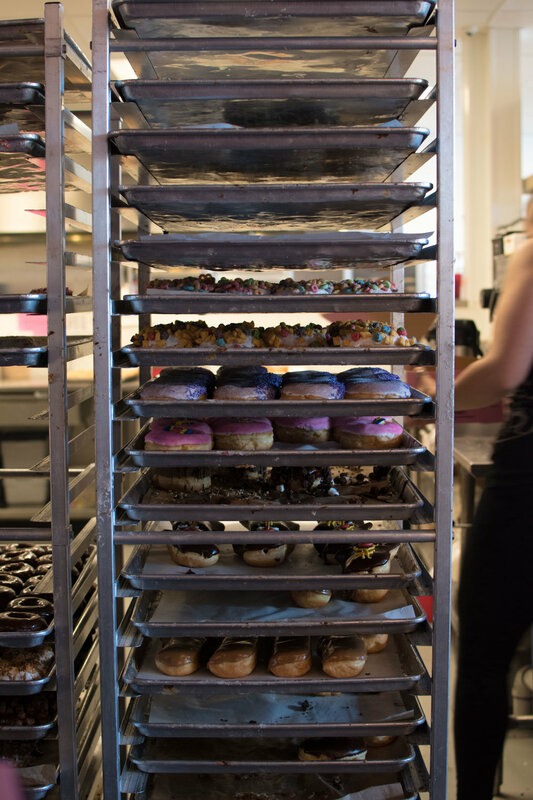 This next part was unavoidable, as someone who has his own doughnut bucket list; we made our way to Voodoo Doughnuts Mile High. Walking down the street toward the shop, smells of fresh yeast and cake doughnuts were emanating throughout the exterior. 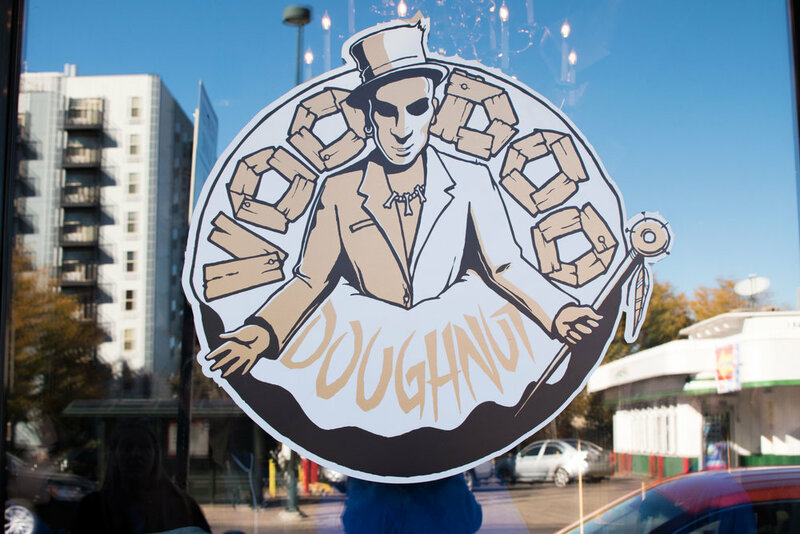 Oddities adorned the walls inside, but it was fitting for the doughnut shop that turned different and strange into a Portland favorite. With a duck tape mural on the left wall as you walk in and a Blue Brothers cut out to keep it cool, there was no shortage of fun inside. We grabbed a dozen doughnuts and took them to a local park to eat and enjoy some fresh air. It was after two I realized it would take more than just the morning to eat a dozen, so we left and drove back to the RiNo neighborhood again to see the new Blue Moon Brewpub. When you look at the American Craft Beer market there are certain beers that have taken their place among drinkers as introductory beers to craft beer as a whole. Blue Moon has been for many, a gateway beer of sorts for drinkers. When introduced, the idea of a Belgian White was absurd by some standards. A completely different experience, from at the time was a very small selection of beers. Today however, Blue Moon is the number one craft beer in the United States and it has positioned itself as a beer that appeals to many. 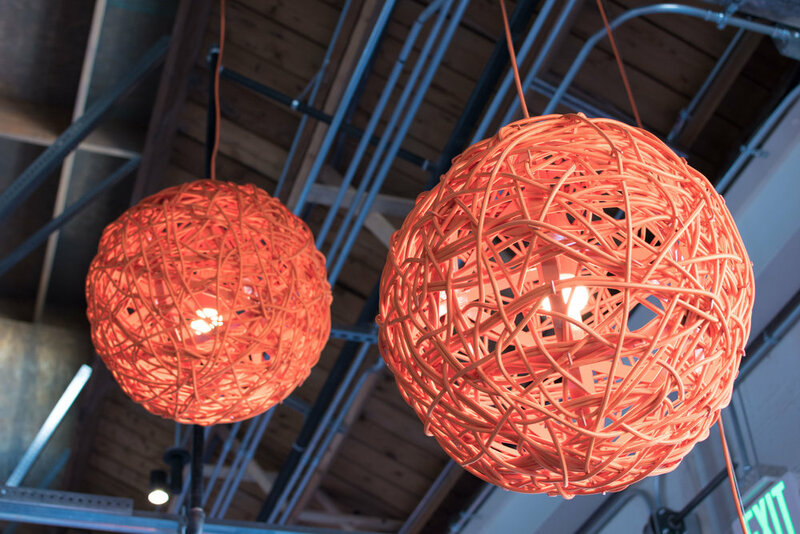 The idea of creating a physical structure where visitors can interact and understand the essence of where its inspiration came from is enticing for any drinker. 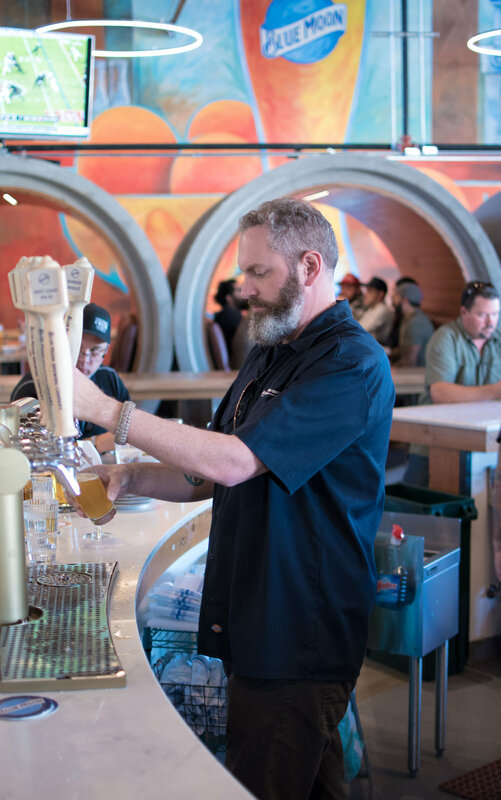 I hope, like the beer itself, the brewery will create a conversation about beer with individuals who had previously never visited a brewery, maybe it can act as a gateway for drinkers to visit other breweries around the country. These pitstops of sort for my time in Denver are what I found to be as engaging as the festival itself. What's going on in Denver is a sea of urban growth fueled by brewers, roasters, doughnuts, and amazing views of the Rockies. It was all a chance encounter here, an introduction there, and a glimpse at the beautiful city of Denver. Thank you. P.S. I would like to say thank you to Daniel and William of Corvus and I highly encourage anyone reading this who may travel to Denver to stop by and say hi. They make phenomenal coffee and are extremely kind and would love to talk. Check out their website here!